Traditional Western medicine isn’t the be all and end all when it comes to staying happy and healthy. For centuries, ancient cultures have been turning to various alternative medicine options as an effective way to manage pain and treat a wide variety of illnesses without the use of medication. Now, many of these integrative therapy options can also be used to help our animal companions live more balanced, comfortable lives. Ceres Veterinary Clinic is thrilled to offer a number of alternative medicine options to better serve our patients. We believe that when it comes to providing your pet with the best possible care, the more choices you have, the better! The practice of chiropractic care in animals is very much the same as in humans. 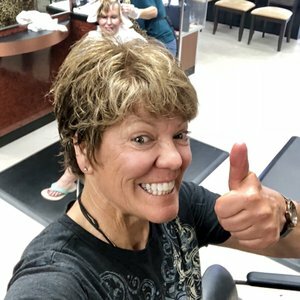 A professionally trained doctor uses advanced techniques to help realign areas of the musculoskeletal system that are out of place and causing the patient discomfort, pain and reduced mobility. Chiropractic adjustments are typically done on the spine, but can also be used on other areas of the body as needed. Ceres Veterinary Clinic works with a professional chiropractor who is trained and certified in animal chiropractic care and is available to come to our practice by special appointment. We’d be happy to evaluate your pet to see if a chiropractic adjustment might help them live a more comfortable life. Veterinary acupuncture is a process which uses tiny needles that are strategically inserted into certain areas of the skin known as acupoints. Each acupoint corresponds to different areas of the body, including certain muscle groups and internal organs. When these tiny needles are inserted into an acupoint, it causes a cellular response in the target area, which in turn triggers the body’s natural pain control and healing mechanisms. Acupuncture is virtually painless and is a highly effective treatment option to help manage pain in our patients. Call us today if you believe your pet might benefit from one of these alternative treatments. We’d be happy to discuss your specific situation further with you!